Although there is still no current mandatory sick leave law at the federal level, interest at the state and local levels continues to grow. Beginning July 1, 2017, Arizona employers were required to offer paid sick leave for their employees. Paid sick leave accrues at the rate of 1 hour for every 30 hours worked, and the paid sick leave is capped at 40 hours (24 hours for small employers). Notably, the new Arizona law goes beyond the provision of paid sick leave for illness of the employee or the employee’s family member, but includes providing paid sick leave for absences necessary to seek legal services related to of domestic abuse, sexual violence, sexual abuse or stalkers. The new law prohibits retaliation against employees seeking to exercise their rights (including just asking for time off), mandates that some unused sick leave may be carried over to a new year and applies to full-time, temporary, seasonal and part-time employees. By passing this law, Arizona becomes the seventh state (California, Connecticut, Massachusetts, Oregon, Vermont, and Washington), plus the District of Columbia, to adopt a paid sick-leave measure. At the local level, the number of jurisdictions requiring paid sick leave is growing as well. Recognizing that over 28 local jurisdictions, including Chicago, New York and San Francisco have implemented such policies, Cook County, Illinois also passed a mandatory paid sick leave ordinance effective July 1, 2017. Under the Cook County ordinance. Eligible employees will accrue 1 hour of paid sick leave for every 40 hours worked. An employee is not allowed to use more than 40 hours of paid sick leave in any 12-month period. Retaliation against an employee for exercising his or her rights under the ordinance is expressly prohibited. Similarly, the twin cities of Minneapolis and St. Paul, Minnesota have also adopted ordinances requiring mandatory paid sick leave, both effective July 1, 2017 (January 1, 2018 for small employers in St. Paul). Notably, one of the chief concerns for counsel to large employers with employees located in various jurisdictions is the inconsistency among the various laws and the risk that the employer inadvertently violates an ordinance, rule or law. For example, Minneapolis’ ordinance applies to all employers, but employers with 5 or fewer employees only need to provide "unpaid" leave. In Oregon, the law applies to employers with at least 10 employees. St. Paul’s ordinance does not apply to employers with less than 24 employees. In Connecticut, the law only applies to employers with 50 or more employees. Moreover, the retaliation provisions and eligibility requirements are inconsistent in nature. In California, employees do not qualify until they work at least 30 days. In Vermont, employees must average at least 18 hours of work each week to qualify. In addition to paid sick leave policies, some jurisdictions also require paid family leave. On July 5, 2017, Governor Jay Inslee signed a paid family leave measure into law in Olympia, Washington. In doing so, Washington became the fifth state (California, New Jersey, Rhode Island and New York), plus the District of Columbia, to guarantee paid family leave. The Washington law, which goes into effect in 2020, offers eligible workers up to 12 weeks paid time off for the birth or adoption of a child or for the serious medical condition of the worker or the worker’s family member, or up to 16 weeks for both. An additional two weeks may be added if there is a serious health condition with a pregnancy. Employers with employees in multiple jurisdictions should be careful to understand the applicable leave laws in each jurisdiction. As always, we will continue to monitor development in this area of employment law. 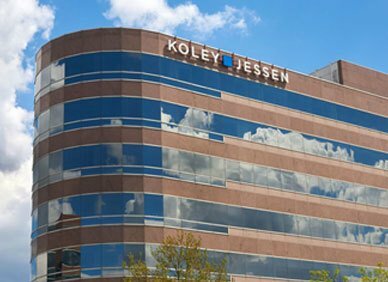 If you have any questions or need assistance with respect to any leave laws, paid or otherwise, please contact any member of Koley Jessen’s Employment, Labor and Benefits Practice Group.